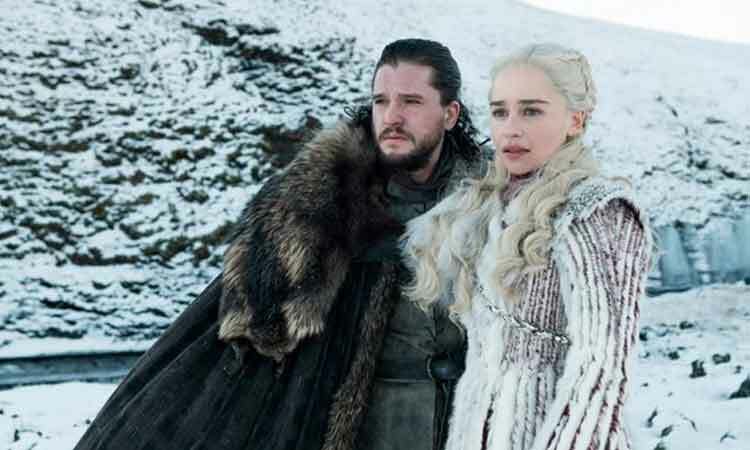 By Sugandha Rawal New Delhi, April 15 (IANS) A reunion, a revelation, a love affair and a gruesome killing — the final season of the hugely popular show “Game of Thrones” kicked off, setting the tone for a berserk finale with big twists, sinister plotting, backstabbing and a lot of blood. The makers have also hinted that Jon Snow is already on the path to embrace his truth when he rides one of the dragons. It seems the story of “Game of Thrones” has come a full circle, especially the moment Jaime meets Bran. In the end, one gets a sense that the creative forces behind the series have started to piece together the puzzle, but also gives out a message that it won’t be a happy ending after all. How? Because the first episode ends with one death. Oops! But don’t worry, it isn’t any of the main characters. The show will find its way on Star World on Tuesday.